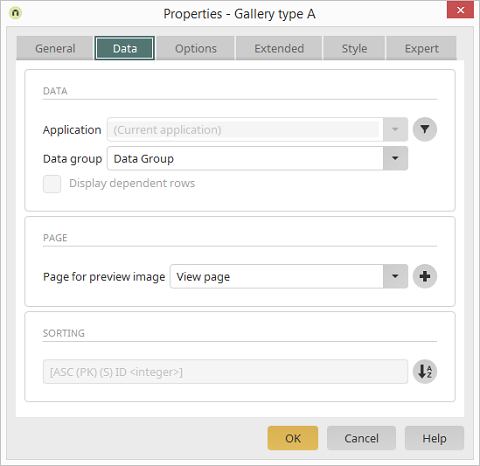 Select the data group that contains the images. Opens a dialog where a filter can be created that filters the images before they are displayed. Opens every image from the child data group that the top-level record is assigned to. Select the page where the images should be shown here. Opens a dialog where you can create a new page for presenting the images. The images are sorted based on the field defined here. Opens a dialog where the order of the images can be modified.